Magento 2 Social Login extension is designed for quick login to your Magento store without procesing complex register steps. Let say goodbye to the complicated registration process and ignore a lot of unnecessarily required fields. Magento 2 Social Login extension is a simple and powerful tool to integrate your Magento customer account to Facebook, Google Plus, Twitter, LinkedIn, and Instagram channel. Logging in via the social medias is the great idea to enhance your customer’s satisfaction. Magento 2 Social Login is flexible enough to edit the customer including email address and password that is auto-fulfilled. Besides, the client can add Address Book to make the profile clear. Due to that, the checkout process will be more convenient if he buys any product at your shop. Magento 2 Social Login Module is the optimized solution for those who have Social account want to sign up your store. In the fact that there is any exception person who doesn't use the social networks or doesn't like them, Social Login also set up the traditional registration way, but the advanced pop-up form is shown. Therefore, with Magento 2 Social Login extension, you are always friendly with all kinds of audiences. It is easy to enable or disable any Social Channel even the module. 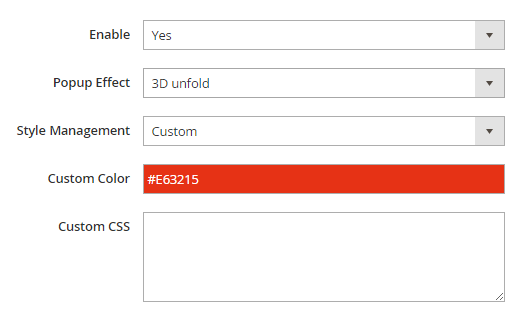 When you activate the Social Login module, you can modify the color of the popup login box on the store view how to be as harmony with your site’s design as possible. Magento 2 Social Login is the perfect tool for loyalty program, which helps you simplify the login step, that means your customers will feel more comfortable with your performance’s site right from the first access. This is the essential thing if you want to set up a successful loyalty program. You can read this guide for more details. I am using custom theme, it is compatible with our design? What edition does this module support? Yes, you absolutely can! You can install it like installing any extensions to website, follow our Installation Guide. Yes, definitely it is free, there is no additional cost. Do you have live demo? Does Social Login support multi-stores? Yes. Our Social Login supports multi-stores. You can use multiple stores in same Magento installation. Can I read the terms of service and privacy policies? Mageplaza Social Login extension for Magento 2 comes with two versions: Standard and Professional. Check out the full feature comparison table below to get an overview. This extension is very easy to setup and use. It does what says. The documentation is very simple and nice explained. Thank you Mageplaza. Your support is excellent! Ben helps me to solve all of my problems. You are really professional. I will definitely continue to use your service! This Social Login extension is super useful when you have lazy customers. The same good product as it is described, I am so satisfied with it. I have used this extension in my Magento 2 website for make register easier. This is very nice plugin made by mageplaza. Great experience. I am giving 5 stars to this extension. Surely I will use this extension in future for other websites. It includes lots of features and this module is a great way to fast login. If only it would be visible in register screen as well :) This is the best plugin that can be bought and this is even free. This extension does exactly what it should. Easy to make settings, I'm satisfied :) I like the possibility to switch on off the popup and that there are many social channels, not just the most popular ones. I like the module its zooming fine one each device. The support team is great too, they helped me to set it up and provided instructions on how to install. Thank you. This plugin was easy to install and worked as advertised. Documentation was well written and easy to follow along. Would recommend it for anyone who needs this for their sites. I love your support so much!!! It's good, I try many extension and chose Mageplaza, the service is also very great. I had a few issues with a compatibility with Mirasvit SEO toolbar, but the supporters were resolved pretty simply by just disabling that module. Their developer - Ben is too familiar with debugging. Thanks! Social Login Extension is very easy to implement and the support team is really appreciable for support. It is a really good module. This module is so easy to install, configure and use. This module is so easy to install, configure and use. You can add many social login networks. It helps us to integrate easily with Facebook and also, it is compatible with marketplace sellers. I recommend using this plugin. I could set it up easily! It's tricky to begin as the instructions are a little out of date when comparing screenshots with Facebook but I soon got it to work even with limited Magento experience and even less knowledge of API stuff. Overall, it's a great and free module - Brilliant! Social Login is super useful when you have lazy customers. The same good product as it is described, I am so satisfied with it. I have used lots of Social Logins in past. Most of them had issues with CSS and HTML in responsive mode. It's is one of the best free extensions, but it needs some customization since it only works on the popup windows and you need to override CSS files to work on Create Account page and other pages. I must say that Mageplaza plays a major role in time-saving of Magento developers. As like many other extensions, Social Login extension is also a great extension which enables registering logging into different platforms. Besides, it's so easy to install and manage. I have used lots of Social Logins in past. Most of them had issues with CSS and HTML in responsive mode. This plugin does its job great. Its integration is the best you can do whatever you wish with it. The only recommendation that I would give is that you can show it on the register page as well as its same functionality as signin. Hence, it can be done manually via HTML but not all ppl know it. Keep up good work. Thank you! The best social plugin you can have. It includes lots of features and this module is a great way to fast login. If only it would be visible in register screen as well :) This is the best plugin that can be bought and this is even free. This module works as expected, there are no problems. I recommend using this extension as it's very useful and easy to manage, makes the store login and register easier and get more customers easily and efficiently. This is a great module, which boosts the sign-up rate of default Magento complicated sign-up process. This module allows more options for social sign-in compared to other available extensions. The same good product as it is described, I am so satisfied with it. This module is easy to set up and good to work. If you need a module for this aim, it will be the best for your Magento store. Social Login is super useful when you have lazy customers. You don't need to teach your customers how to login or how to register, all will be done by this module. This module is really great. Thanks, Mageplaza, keep up the good work! We're delighted to keep seeing it coming. I set out clear instructions on what the extension doing, and I would gladly buy another paid extension very soon. I love all Mageplaza extensions. This is simply a must-have solution for every shop. Now it works great, doesn't slow the performance and also, it's easy to install and setup. The best thing is that it's free (the basic solution, which is suitable for most e-commerce stores). Thank you! Yes, enjoy the convenience of using it, when the SMTP plugin supports full parameters configuration and the Social Login also works fine. The only wishing is to support Chinese social channels such as wechat and Alipay. This extension works first time straight out of the box. It is really worth the download, keep up the good development work. I will be back to see what else your extensions to add to my store. Download and install this module easily like eat the cake. I also have the full support from their team even I use the free version. Thanks, Mageplaza team. This extension is so useful. I am using it with the great success. After enabling the extension, my sign up rate has increased. Keep up the good work. I can enable lots of social network login using this extension. Thank you for providing a useful extension! Mageplaza Social login will boost your signup process. Currently, it works on my clients' store well and they really appreciate me. Thank you! This extension is so awesome. I love it. I currently have 5 login options including Amazon. It seems to work great but doesn't seem to work well with the new Magento 2.2.4 native Amazon Pay. So these issues need to turn off Amazon Pay. I have only tested the Facebook integration. This works great, so I am sure that the rest of them are also good. Thank Mageplaza, keep up the good work! We're delighted to keep seeing it coming. Thanks. Thank you so much for providing such a great extension. It really works well and is also useful for my store. Also, it's so easy to install and use in my store. This extension is easy to install and also easy to style to fit the color scheme of your website. We like using Mageplaza as our extensions provider because we know that we will never have any issues with them. It works like what it mentions. It's easy to install and integrate with any website without any issue. It's really awesome to get such a great extension for the free cost!! Love this module, would recommend it! I use this module for Facebook, Instagram, Google Plus so that customers can log in to my website. It's a great social login extension. I would recommend for anyone to use on the personal or business website. I can't say enough about great benefits that it brings for the business. This checkout is more than twice as fast to load the default Magento 2 checkout and feature rich. I recommend this module and their compatible Social Login module. Works great! Mageplaza support is excellent btw. There were some design changes that I needed help with. Jimmy from support was very helpful and all questions were quickly answered. Thanks for the great free module. Super and very usefull extension for Magento2 and well support Mageplaza team and easy to install, can be finely configured in admin (backend) panel. It is a wonderful extension which works seamlessly with our Magento 2 project. It is clear and easy to integrate with social login features. Thanks for the crystal clear document. I got best and quality support to integrate plugin on my website. Works out of the box, easy to install, even easier to configure, a well made documentation is also available, making it free was a huge gesture from mageplaza. Absolutely recommended! It is a wonderful extension which works seamlessly with our Magento 2 It is clear and easy to integrate with any social login features i Love it amazing support works perfect good documentation!!! Thank you for your Support Max and Jeanne, and it is simply fantastic. Keep going guys. Thanks for the great free module. Excellent extension for magento2 and well support Mageplaza team and easy to install, can be finely configured in admin (backend) panel. It is a wonderful extension which works seamlessly with our Magento project. It is clear and easy to integrate with any social login features. Thanks for the crystal clear document. Thanks to Mageplaza for the free module provided an excellent quality extension, and it's very easy to install. I'm impressed by this extension. It's easy to use, awesome and very helpful. It is a wonderful extension which works seamlessly with our Magento project. It is clear and easy to integrate with any social login features. Thanks for the crystal clear document Thank you. The extension has worked for what the company wants. Exelent extension! At first I could not perform the installation on the Magento 2 platform, however technical support answered immediately to solve the problem. I recommend them, they are very professional people. It is a really good extension for the social login. Thank you. It is a wonderful extension which works seamlessly with our Magento project. It is clear and easy to integrate with any social login features. Thanks for the crystal clear document. Very useful. It would have taken me much longer to write these things myself. Works seamlessly with my Magento store. Thank you very much for the extension. I would recommend it to anyone who needs a social login. I'm impressed by this extension. It's easy to use, awesome and very helpful. I'm glad that I installed it. It will help you very much in the long term. Really good extension. Works out of the box! 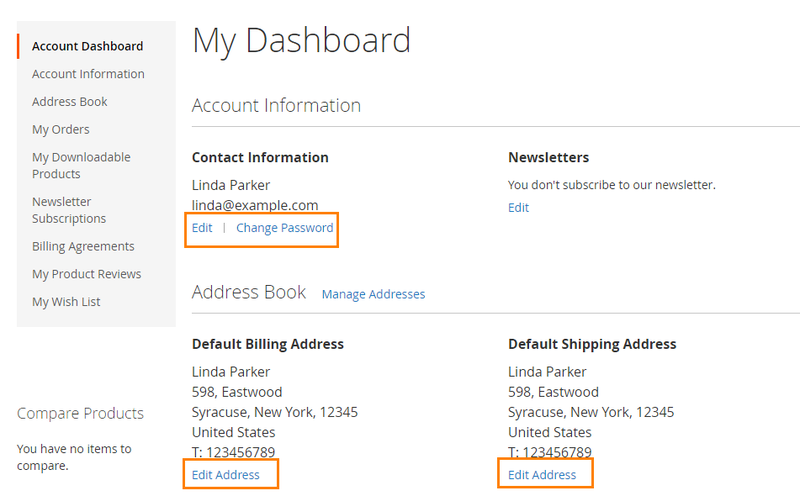 Well documented, easy to install, can be fine configured in admin (backend) panel. No work "under hood" required. Thanks for the great free module. I like it! Thank you very much for the fast support and I'm sorry for the inconvenience (custom third extensions was the guilty). Thanks for the extension. It is very helpful for me to create the social login in Magento 2 store. As I already said, simply the best support team! Thank you very much! Simply the best support team! Thank you very much for all your valuable help! Excellent module! Love how easy to use is and how powerful too!!! Being able to configure so many social networks with just one click is really awesome! I would definitely recommend this to all magento users out there! Thank you so much for the best login plugin magento 2! Mageplaza Social Login is an excellent extension, I had no trouble to install and configure this extension i really appreciate the effort from the Mageplaza for this wonderful extension. Thanks to Mageplaza. Very responsive and professional support. Extension is also good. Very well developed and useful extension, we have installed this plugin and it really worked like a charm, we are very happy and will give full marks to this plugin. Been using this for quite some time now.. Works great no issues.. But it wont work with checkout unless you have their onestepcheckout extension which i have. Great works! This is an amazing extension, thanks alot for the extension, is very awesome and Thanks for your great support. Good support from the support team in very short time! 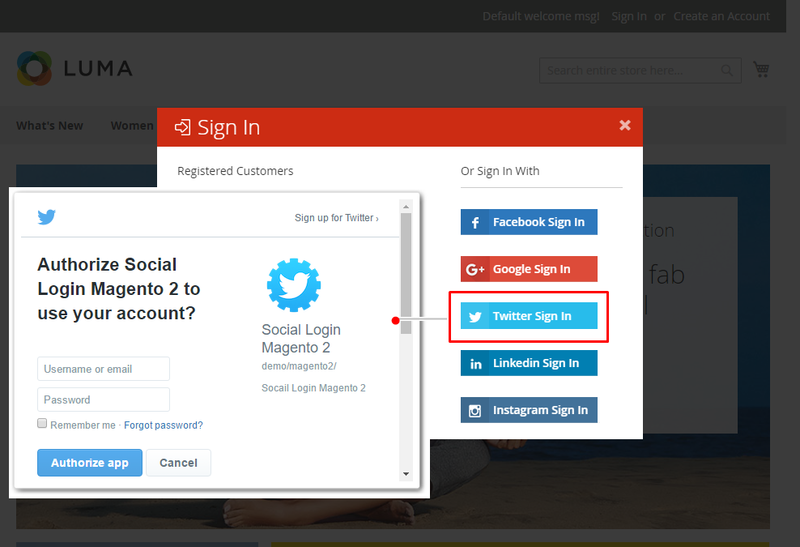 Magento 2 Social Login Extension is a great extension. Its working good. Response rate is very fast. I downloaded couple of weeks ago. Very good support for what is a free product. This is very good extension and also good effort by developer. Just need to suggest to developer to give little bit more explanation about the create key from social media and if we enter wrong key than its giving error. While the Social Login extension is sold with the price variable from $99-299$ in the Magento 2 market, Mageplaza offers a totally free Social login one. It was unbelievable for me at first. However, with many recommendations for Mageplaza social login module, I decided to test the extension first on the test site. The result was incredible. The module is not only easy to install but also can be configured effortlessly. Although Mageplaza doesn’t provide free technical support for free extension, they supply all users with the installation guide and user guide which are written clearly to follow and view. Hence, I can do all the configuration by myself. After all the testing work, I have integrated Social Login extension for my store. It is processing smoothly until now. Thank you, Mageplaza and I hope that you can bring more awesome extensions like this one to Magento merchants. I have used this extension on my site. The installation instructions were clear and very helpful, I had it installed without any pain. After the installation, the setup process was also very well documented, I setup the login for Facebook without any issue. The only problem I have is that, when I try login using Facebook, the login pop-up window have some compatibility issue with Facebook, in detail, the login pop-up window doesn't size (or resize) correctly, resulting in the sign-in page cannot be fully displayed, and user had to manually resize the window But overall, I would highly recommend this extension, and wish Mageplaza to continue testing and maintaining it to prevent future compatibility issues. Was skeptical on how a free extension will perform for social login, but since it is free the only thing I can lose is time. So I downloaded and it installs perfectly, works seamlessly. Other company charge for this kind of functionality, so for those still considering, just download it right now. Very good support for what is a free product. We got updates very quick with all required information. Magento 2 Social Login Extension is a great extension I'm using with my Magento CE 2.1.8 and working perfectly. Just upgraded my version to CE2.1.9 and nothing wrong still perfect. Social Plugin is great extention. It works seamlessly and I had no problems during the installation and configuration process. It is very easy to customize and adapt to a custom theme! 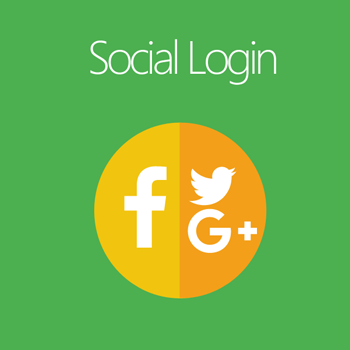 It's easy to integrate multiple social login. It's so helpful for customers too to login easily. It's a more useful and must needed extension with free of cost. Good work by the Mageplaza team. 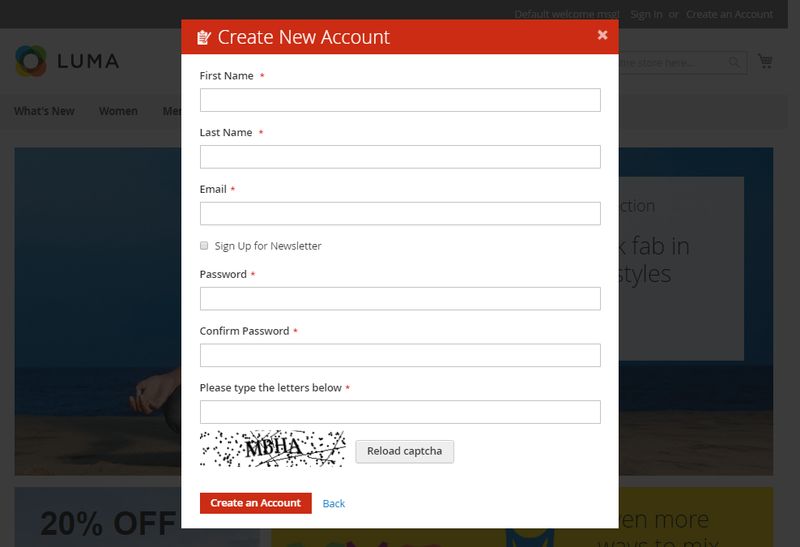 Social Login M2 is a Good extension. Since sign up is much faster and easier. This extension is easily customizable. so far I don't find any issues. keep up the good work. Thanks to Mageplaza and Team. Their support is really good and very friendly. I'm using their Social Login M2 Extension and it is working properly. I ask them to support me to upgrade extension to the latest version and they quickly replied to me with the instructions even it is free extension. Thanks to the Mageplaza and the team. Thanks, Raminda. Extension is awesome, the support service is great and the team is friendly and productive. Thanks for your great support. Social logins have increased the login and account rate in our store. We see that more people sign up because it is just a lot easier. With this we are one step ahead of the competition. Recommend Mageplaza Social Login. This is an amazing extension and best free extension you should use. I hight recommend about that. The social login rises user experience when they visit your website, don't need to fill too many information in the bored fill. This extension is easily customizable with good quality of code. It can extend the code easily and make your own requirement.Overall very good experience with this plug-in. I will suggest you use this module. Excellent extension! Very easy to install and use with great documentations. Thanks for the tutorials too! Mageplaza extension is helpful for my website. It is working perfectly Other company charges for this kind of functionality, so for those still considering, just download it right now. It is too great for a free extension! The social login extensions from other providers are never less than $199 which can’t be more superior than Mageplaza’s one. I am always your loyal customer! Since sign up is much faster and easier, more and more people have decided to register at my website. This simple extension brings a great result! The extension is easy to install and running well. I'm looking forward to getting more extensions from Mageplaza. This extension has a lot of documentation with easy way to set up very happy to use this product. I am very thankful to Mageplaza. This extension is very usable and easily install on my site. and my customer easily use this extension. So I am soooooo happy with this extension. So once again, I thank you Mageplaza team. Excellent extension! Very easy to install and use with great documentations. Thanks for the tutorials too! Thanks a lot for the extension, my site traffic’s boosted a lot due to the social login. Besides, I didn’t have to forgot other vendor's modules for this one, as they are almost compatible. All ajax based login register and verification. Easy to customize. It supports all 2.x version. Great extension, loving it. Thanks mageplaza. This extension is very useful. Thank you! An excellent quality extension does its jib nicely. I am using Magento Porto Theme. I have installed your Social Login Extension. I can see the Popup But Social Login Button are missing. Thanks to mageplaza for the free module provided,and its very easy to install and easy in customer end to use it.. Required Mageplaza_SMTP for better email confirmation. There is no email in spam box or red label anymore.